Lacey Barton was finding it hard to invent new excuses not to go out with Alex Trevino. He was hot, a hero, and cared for animals. And he was persistent. It didn't matter what lame excuses Lacey came up with to reject Alex, he kept showing his interest. Even showing up at a shelter when Lacey was volunteering. Alex seemed to be everything Lacey would want in a man, but past experiences proved men weren't reliable. But finally, Lacey decided maybe Alex was different. From the moment Alex met Lacey, he knew she was special. And the more time he spent with her, he began to suspect that she might be "The One". That mythical one person who was a perfect mate for a werewolf. Alex would have liked to focus solely on his growing relationship with Lacey, but he was a SWAT officer, and they were involved in several investigations. He was also training to improve his sense of smell. As a werewolf, he should be able to identify and track smells better, and was in essentially remedial smell classes. Alex was happy with his work, helping to get bad guys, and drugs, off the streets. He was happier with Lacey and their growing relationship. What he never expected was for both parts of his life to intersect. And when Lacey was in danger, nothing would keep Alex from protecting her. Regardless of what he might lose in the process. 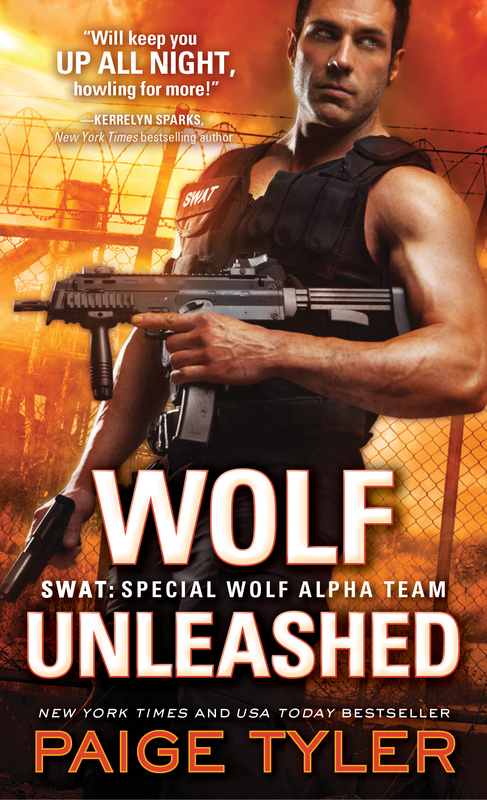 Wolf Unleashed is the fifth story in Paige Tyler's SWAT: Special Wolf Alpha Team series, and just as can be expected, Paige Tyler has delivered another entertaining action packed read. Alex is a fascinating hero - animal lover, paramedic, and alpha werewolf with a bad sniffer. Lacey is a very sweet heroine - basically raised her younger sister, dedicated to animals, and well, that was pretty much her life. Alex was the perfect hero to break through Lacey's shell and show her how much more to life there was. As always, I finished this book looking forward to the next SWAT story.